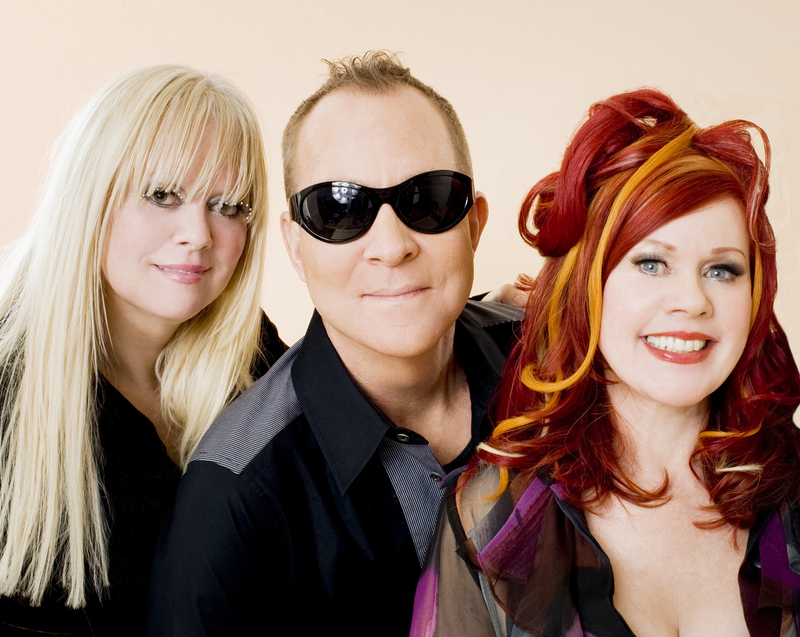 The B-52s are more than a bestselling rock band — they are also conservation rock stars! Over the past 40 years, since the B-52s were founded in Athens, Georgia, millions of fans have turned out to enjoy the band’s bestselling songs such as “Love Shack” and “Rock Lobster.” But this weekend in Texas, concert-goers had a chance to get their hands dirty before the show by stepping up to serve with SCA. Hundreds of fans in Austin and Houston took up the challenge to make native wildﬂower seed bombs — small balls of soil, clay, and seeds that will explode into bloom to bring native wildﬂowers to Texas and support threatened pollinator populations such as bees and butterﬂies. 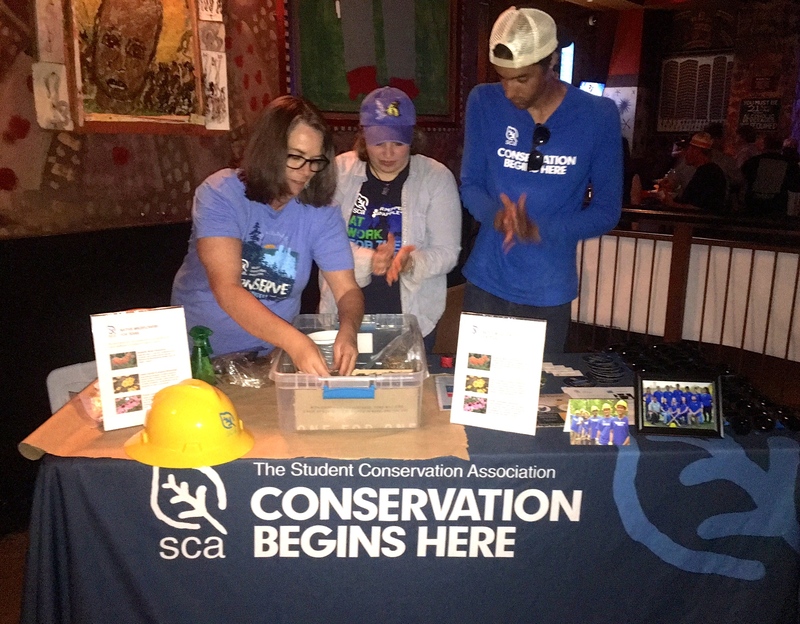 Two days later in Houston, SCA joined the concert tour again to host seedball activities with the B-52s at the House of Blues. Over 200 fans joined in to make seed bombs in Houston, with help from local SCA alumni and crew members. 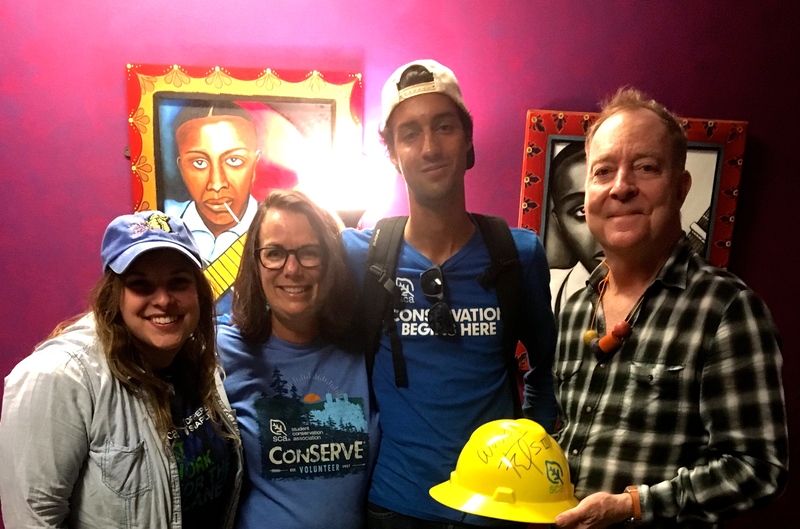 B-52s frontman Fred Schneider, a long-time environmental advocate and supporter of SCA, invited SCA staff and members backstage after the show and autographed an SCA hard hat. The mobile seed ball program, which SCA has used to bring hands-on service to venues from corporate oﬃces to concerts to street festivals, was developed with support from American Express.